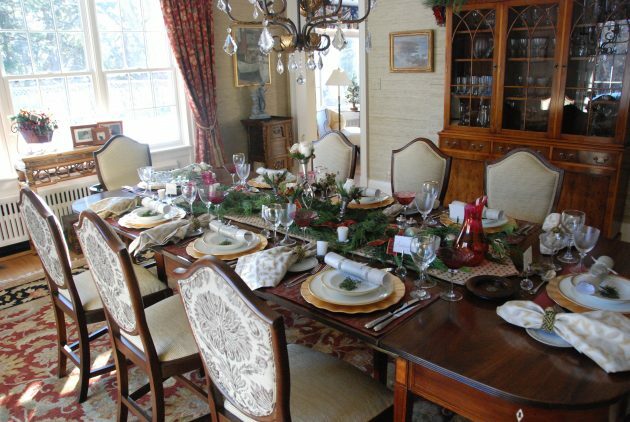 Christmas is a time for celebrating our traditions and honoring memories while gathering with friends and family. 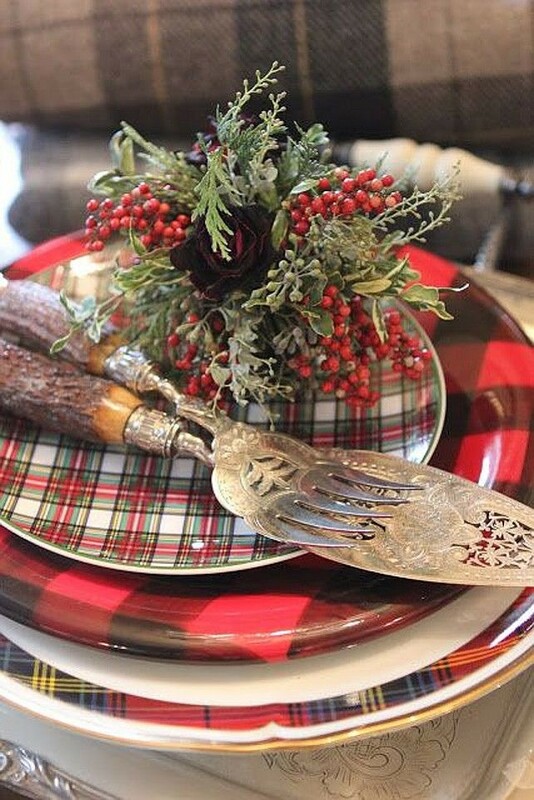 I love to incorporate the old with the new in my holiday table decorating, weaving in vintage pieces which have meaning to my family and recall the past. 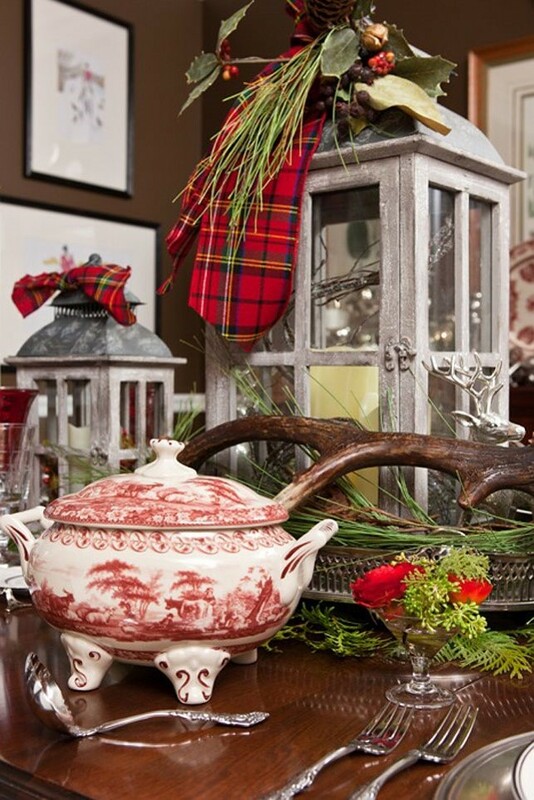 I also like to add some element of the outdoors into my decorations, mixing fresh evergreens, pine cones and fruits into my faux decorations for a more authentic look which is reminiscent of times gone by. 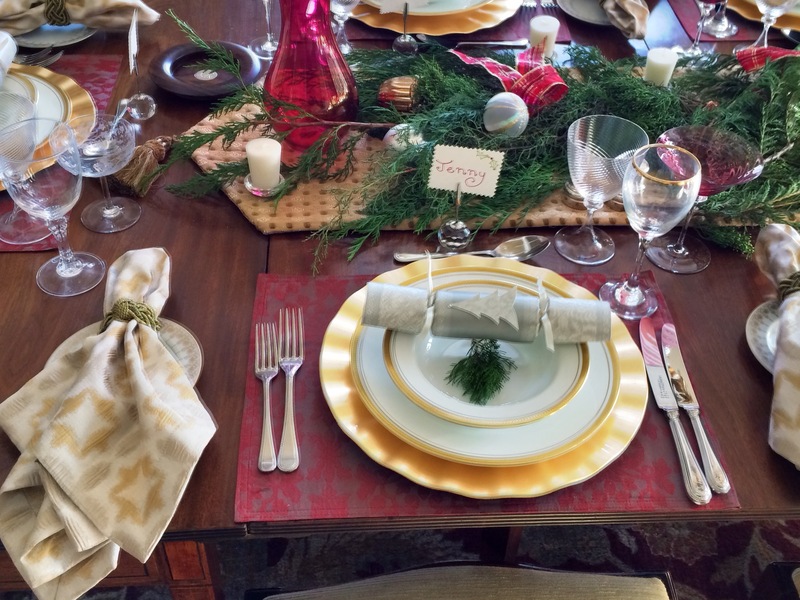 Read on for my top tips for creating a unique and personal look for your holiday table decorations. 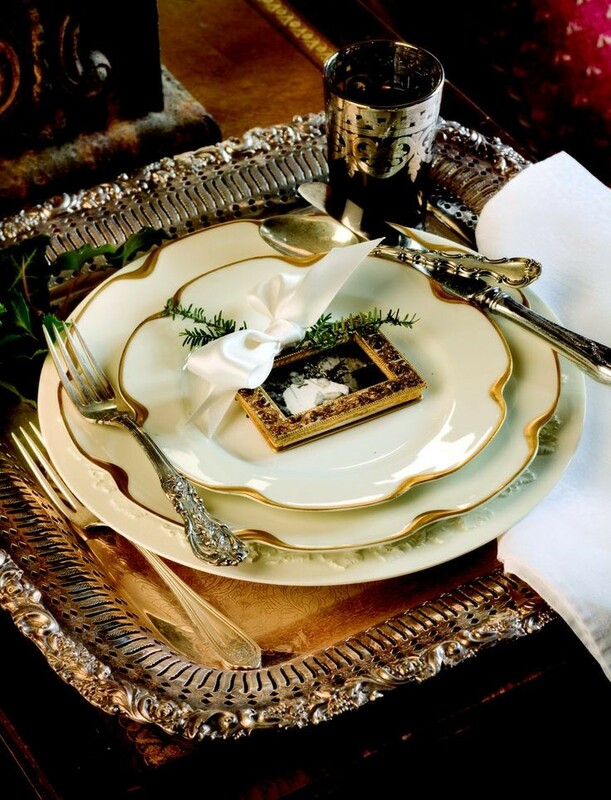 This plain white chinaware with a delicate gold scalloped edge is the perfect complement to the vintage silver tray and silverware. 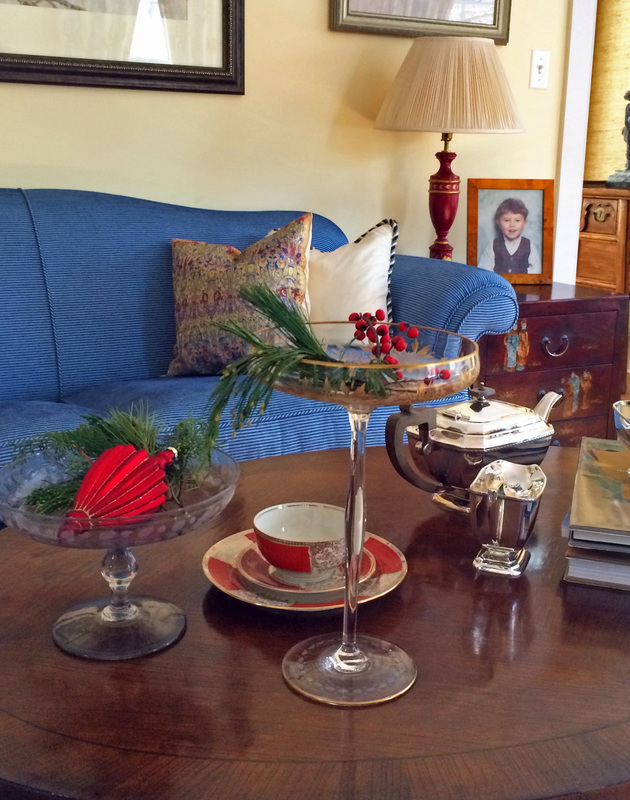 I love to combine vintage pieces with organic materials, including fresh evergreens and maybe some horn and other woodsy, rustic pieces. 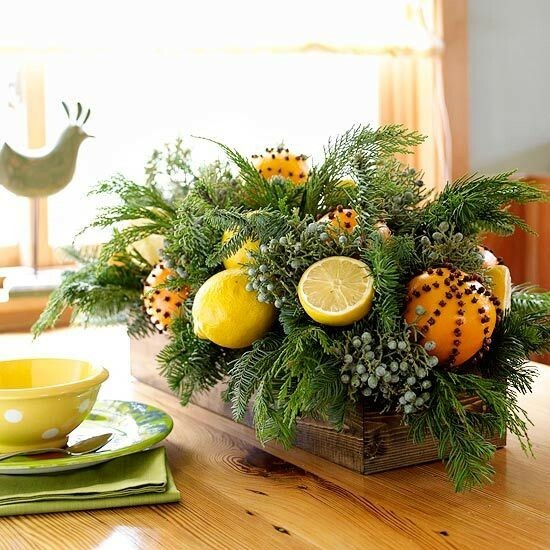 Often simple greenery decorated with fruits looks more festive and original than flowers. 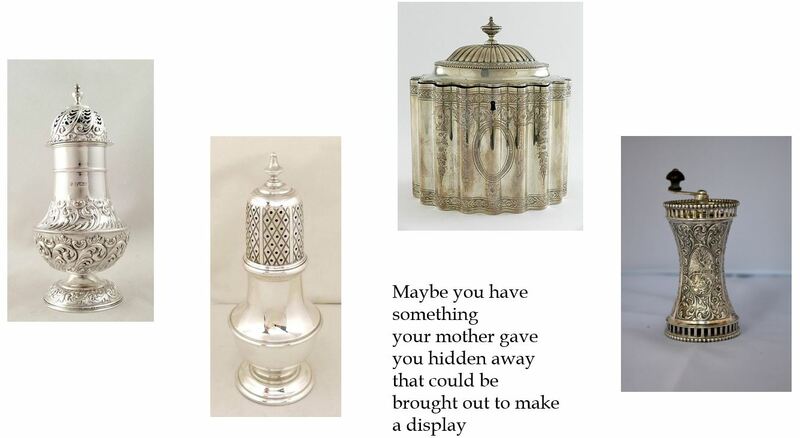 They will also make your table look more relaxed and less formal if you are using your vintage or heirloom pieces. 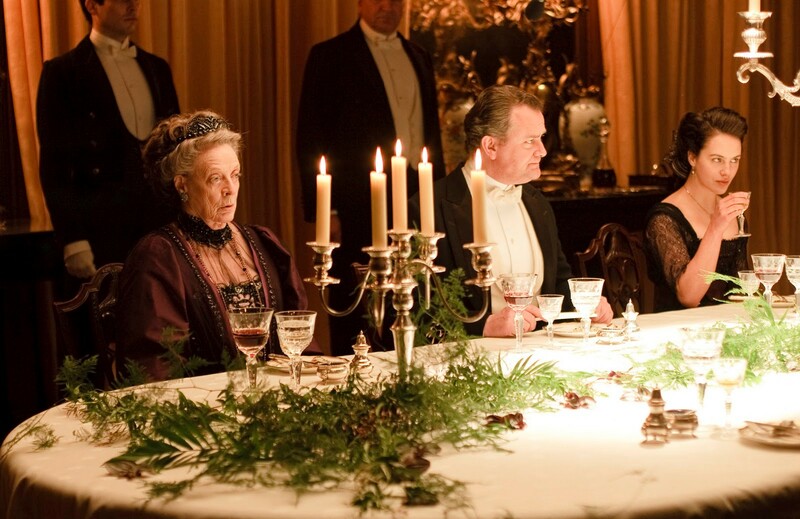 The Victorians would have decorated their tables like this. 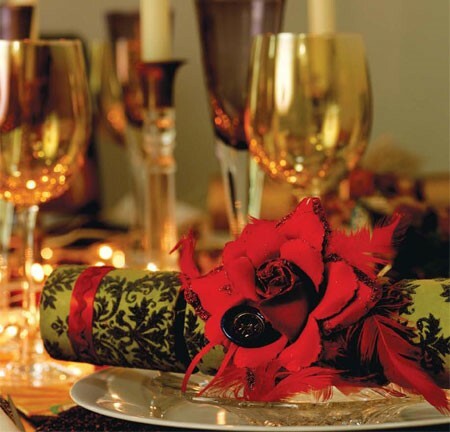 Christmas crackers are an English tradition which is becoming more popular in the US. 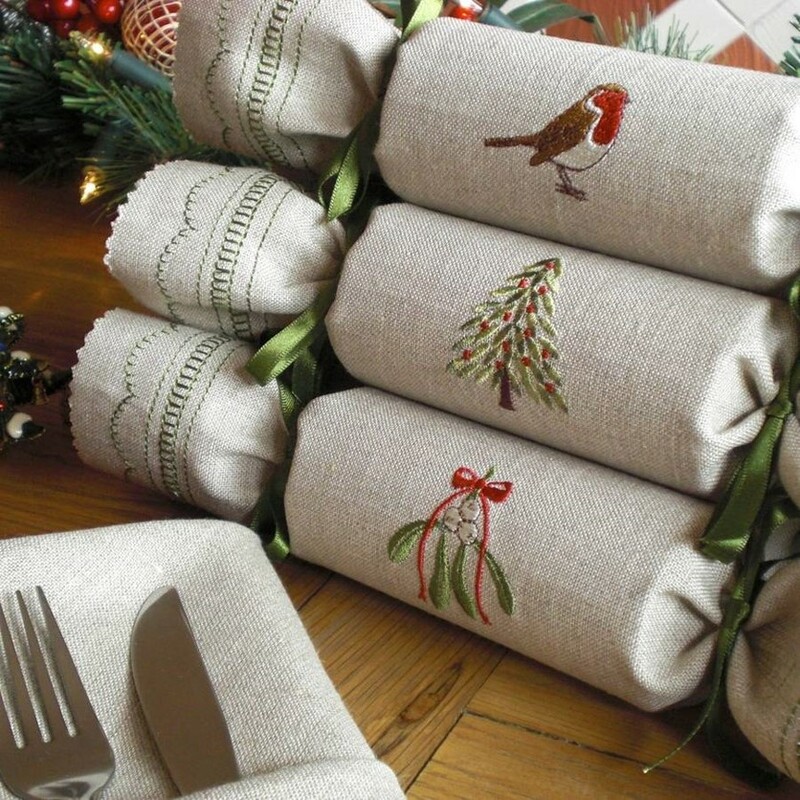 These are simple to make yourself from vintage textiles or even embroidered cloth.